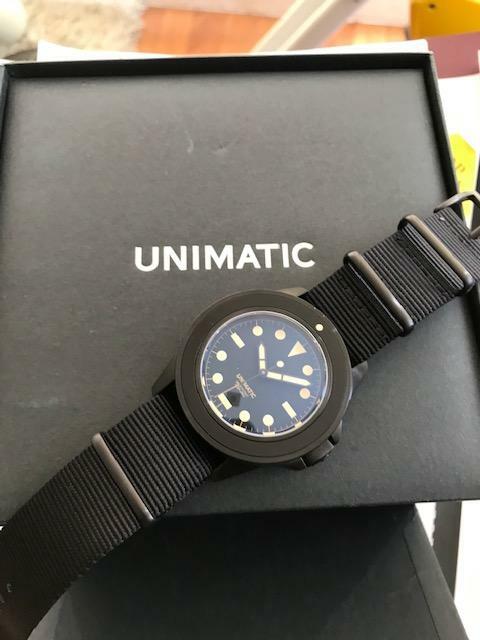 FS: Unimatic U1-BN Limited Edition SOLD OUT Most desired design! Yes! This is the one! One of the most complimented on Instagram! Barely worn, comes in the set as with the photos just taken! Get it right as there are just too many variation of dial! 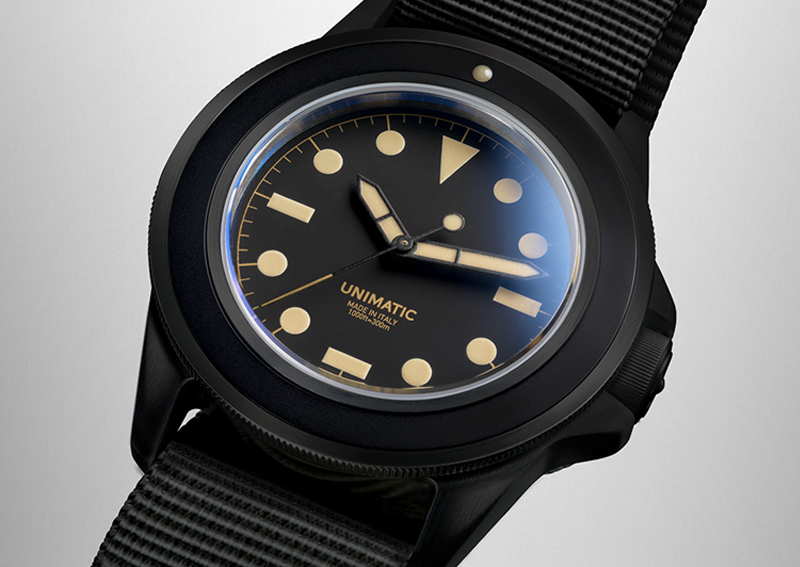 Unimatic isn't just a small brand, it's in fact one of the smallest. The Italy-based company produces extremely limited series of sports watches and is the brainchild of two industrial designers, Giovanni Moro and Simone Nunziato. 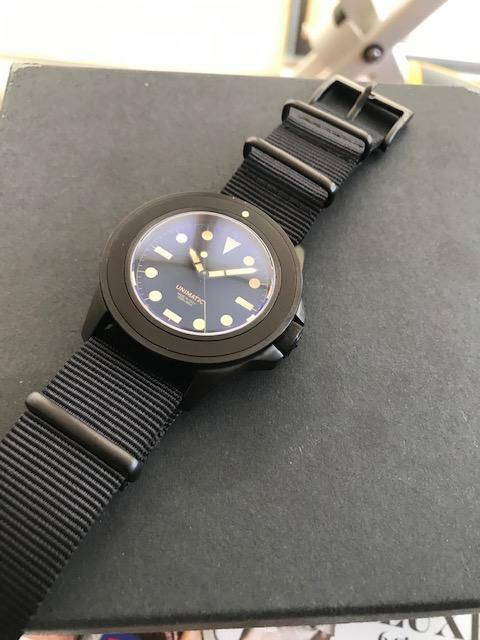 Though they’ve only been in business for since 2015, the pair have managed to create a buzz not only because of their watches’ ultra-minimalist aesthetics, but also because of (or despite) their minimalist approach to marketing them. There is a well known aphorism that says that design perfection is achieved "not when there is nothing left to add, but when there is nothing left to take away." 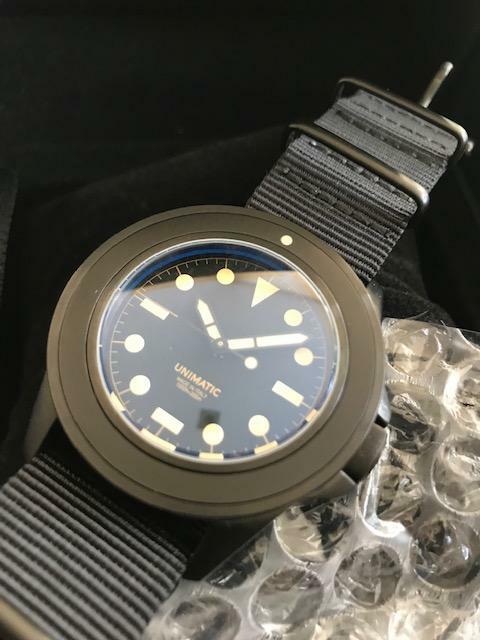 Students of dive watch history will recognize cues from a couple of famous divers – the virtually naked bezel with its slim coin edge and single luminous descent marker conjures the Squale-made "Bund" Blancpain Fifty Fathoms of the 1970s, and the dial and ladder hands remind one of the "Type 1" watch Benrus built for U.S. Special Forces divers during the 1970s. There’s even a bit of Submariner in there, with the gold-tinted minute track and dial printing. All of these traits avoid homage territory, due to the way they’re well-merged and then situated in an angular, modern case that would have made a 1980s IWC designer proud. Powering the Modello Uno is a Seiko NH35A automatic movement that hacks and is wound by hand, a subtle clue to which (whether intentional or not) is the needle-like sweep seconds hand that has the luminous flag as a counterweight like so many Seiko divers. 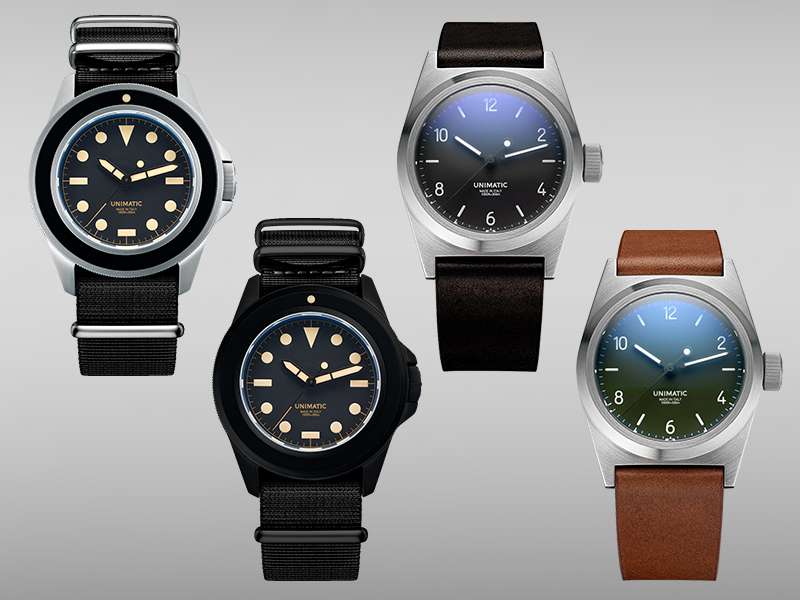 Among the micro brands, the great majority turn to Japan for movements, from both Miyota (Citizen) and Seiko, thanks to their value proposition, quality, and the upheaval in the third-party Swiss movement market. Unimatic chose to eliminate the date function, likely an aesthetic choice, and it is perfectly in keeping with the watch’s overall minimalism. From that bezel, to the angles and near-perfect proportions of the case, to the clever case-back engraving that incorporates a conversion table for units of measure, it’s clear that the Modello Uno is a watch that was sprung from the minds of designers. There is a maturity to its aesthetics and an overall coherence that drew the attention and interest of even seasoned collectors of watches worth thousands more. Only 40 made, ALL SOLD! Individually numbered, edition of 40! 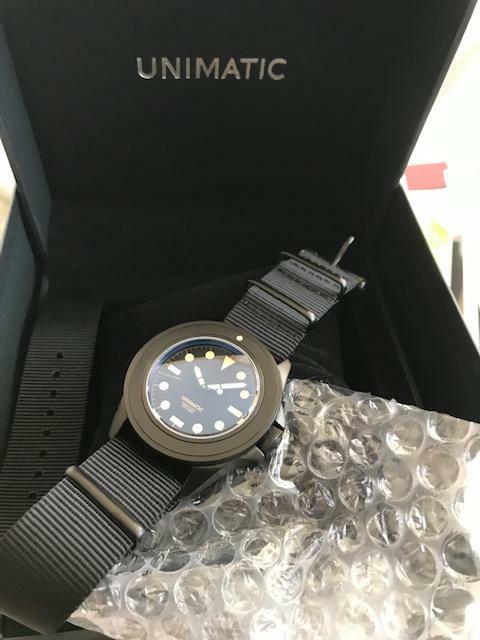 Will shipped Worldwide, comes in full box. $1688 paypal inclusive. Price is firm as shipping and paypal is a hefty.